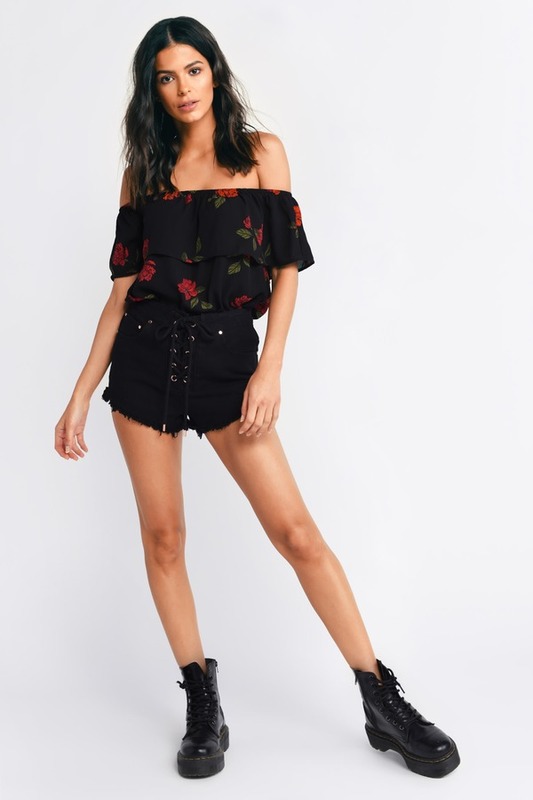 Check out Tobi's Lilian Off Shoulder Blouse Showing off your shoulders is still the easiest way ever to look cute, and the Black Lilian Off Shoulder Blouse does all the hard work for you. This floral print top has a flirty overlay for added swoosh (and to give the illusion of short sleeves), and an easy swing shape. This flowy top is a casual daytime option that will look good wherever. 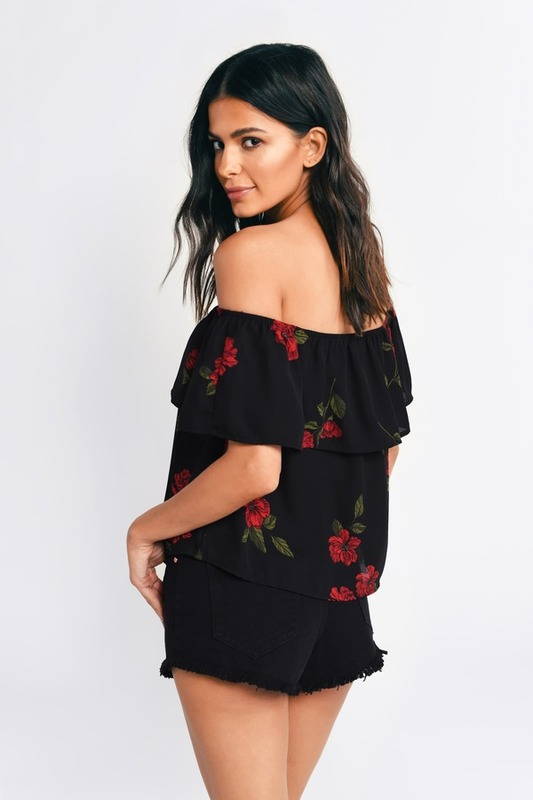 Showing off your shoulders is still the easiest way ever to look cute, and the Black Lilian Off Shoulder Blouse does all the hard work for you. 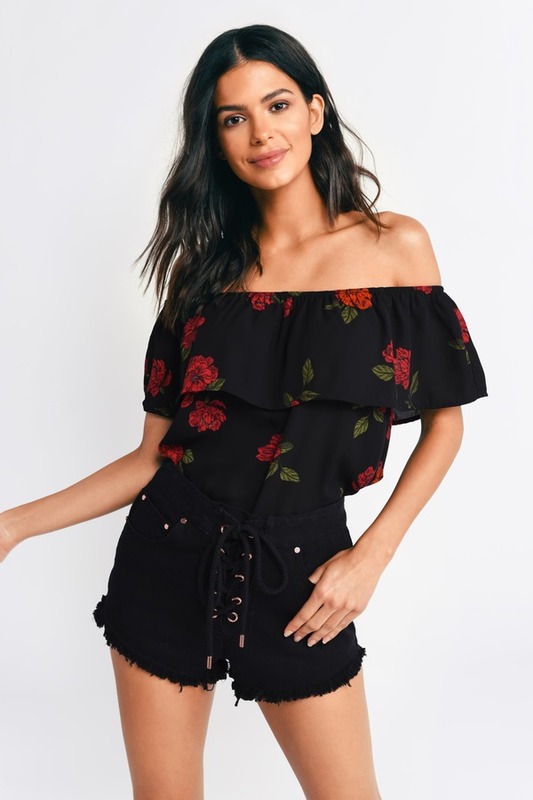 This floral print top has a flirty overlay for added swoosh (and to give the illusion of short sleeves), and an easy swing shape. This flowy top is a casual daytime option that will look good wherever.